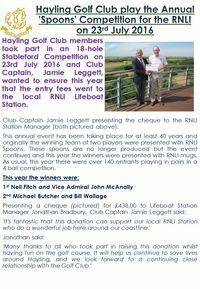 Hayling Golf Club members took part in this 18-hole Stableford Competition, with all the entry fees, £438.00 in total, being donated to the local R.N.L.I Lifeboat Station. 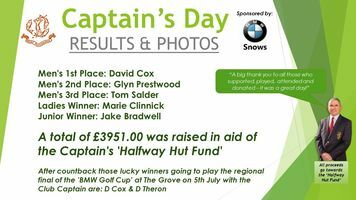 Click on the image below to view the report, results and picture of the Captain donating the monies raise to the R.N.L.I. 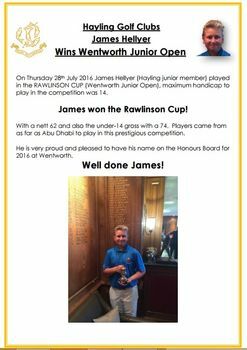 Congratulations to our very own James Hellyer who won the very prestigious Wentworth Open in 2016. 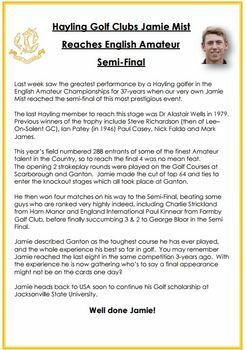 Congratulations to our very own Jamie Mist who reached the Semi-Finals of the English Amateur Event - this is a very prestigious event and one of his best results so far! 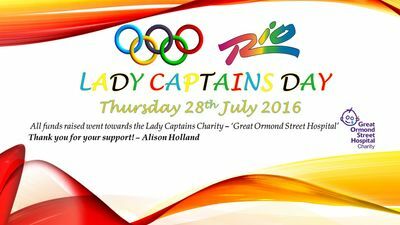 Another successful day enjoyed by all the ladies, the theme chosen by Alison Holland (2016 Lady Captain) this year was 'Rio Carnival/Olympic', everyone entered into the spirit of it all and the costumes were amazing! Click on the image below to view the Results & Photos from the day! Who won the Mixed Triangular Match, held at Hayling against Meon Valley and Rowlands Castle. 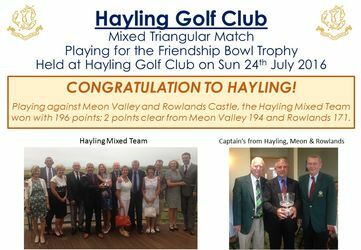 The Hayling Mixed Team won with 196 points; 2 points clear from Meon Valley 194 and Rowlands 171. CLICK HERE to view the photos of the team and Captain's on the day. 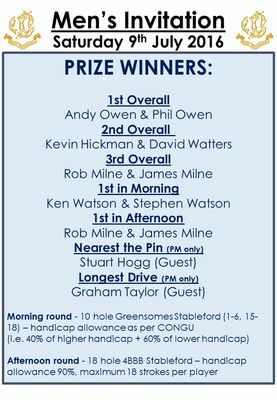 This is an annual competition open to members to enter along with a guest (non-member) of their choice, playing 10-hole Greensomes in the morning followed by 18-hole 4BBB Stableford in the afternoon - congratulations to Andy & Phil Owen who were the overall winners! 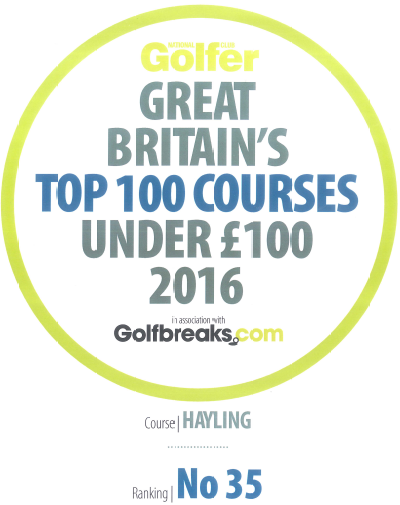 A very popular annual competition, which had a full field months in advance of the date. Jamie Leggett's Captain's Day this year was a raving success! After the competition, evening entertainment and fundraising throughout a total of £3951.00 was raised!! All going towards the Captain's 'Halfway Hut Fund'. Jamie passes on his thanks to all the members who attended and supported the day.